This is the entrance to the Olivina property of Julius Paul Smith, most of which is now Sycamore Grove Park. 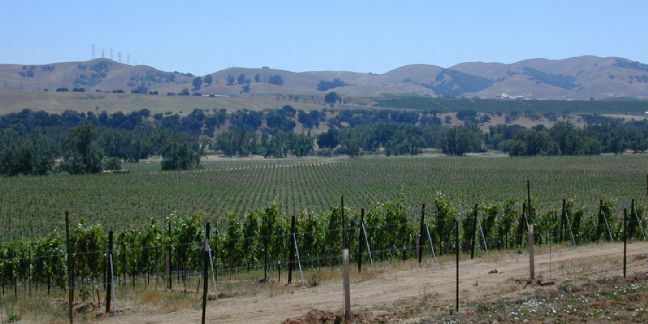 This portion of the land is now part of the South Livermore Valley Agricultural Land Trust, and has been recently been planted with grape vines. The road is now fenced off. This entrance is at the corner of Arroyo Rd. and Wetmore Rd. The pictures are taken looking south west. The Olivina Gate at the corner of Wetmore and Arroyo Roads. Constructed by Mrs. Smith in honor of her late husband.